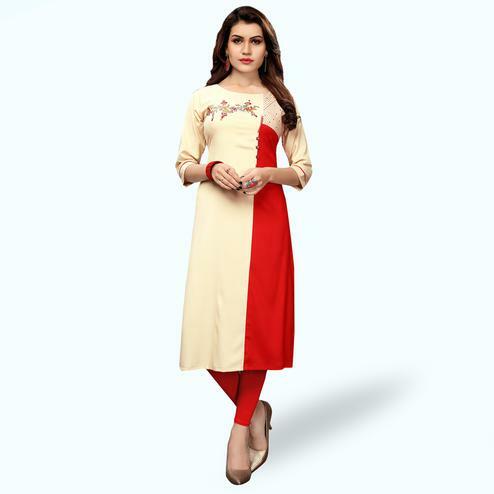 Look smart and trendy wearing this beige - cream cotton fabric kurti featuring mandarin style collar 3/4th size sleeves button placket side pocket curved hemline and unique prints. 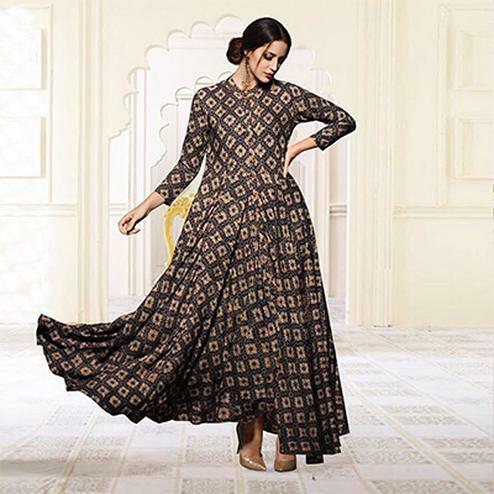 This stitched kurti assures a perfect fit and comfort throughout the event. Wear this kurti by for casual outings by matching it with perfect bottom.